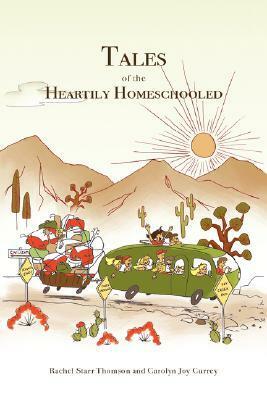 Description: What do you get when you throw 20 children, four parents, several cross-country trips, and a sense of humor between the covers of one book? Lots and lots of big family fun that will tickle the funny bones and warm the hearts of your entire clan. Rachel Starr Thomson is the oldest of twelve children. Carolyn Currey, her second cousin, is the oldest of eight. Not only are their families huge, they also homeschool Drawing on some of their favorite memories, Rachel and Carolyn have written a book of essays that will make you laugh, think, and thank God for family. I was sick and couldn’t sleep, so I pulled out a book that I had gotten off one of my favorite sites, PaperBackSwap. I kept my sister Rose up with my laughter. I couldn’t help it! This book kept me in stitches. Until I finished it about three hours later and was finally able to go to sleep. What I liked about the book: I love reading stories from real life. Humorous stories are some of my favorite to read. The stories were told in such a real, relatable way that I felt like I was in the living room with these two girls, listening to them recount these stories.